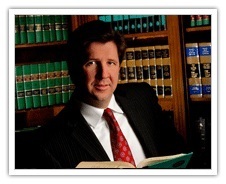 Published on: May 1, 2014 | J. Bradley Smith, Esq. Police in Lincolnton, North Carolina say they have arrested an 18-year-old and charged him with one count of cruelty to animals after they say he choked a Chihuahua. Jason Hildebran was arrested earlier this week and released on $1,000 secured bond. According to the Lincoln County Sheriff’s Office, Hildebran was angry because his mother’s Chihuahua was barking at him. Rather than leave the room or try and calm down, Hildebran instead chose to choke the little dog to get it to stop. Hildebran’s mother was obviously concerned and demanded Hildebran hand over the dog, however, her son refused, which resulted in a call to police. When officers arrived Hildebran was still holding the dog who was thankfully not hurt. The teen was handcuffed and arrested and the dog was returned to its concerned mother. Now Hildebran faces serious criminal charges all because he lost his temper with the animal. North Carolina General Statutes Section 14-360 says that anyone who injures, torments, tortures or cruelly beats an animal can be punished with either Class 1 misdemeanor or Class H felony charges. So what’s the difference? In North Carolina, the law says that anyone who “intentionally” injures an animal can be found guilty of a Class 1 misdemeanor. To be found guilty of a Class H felony, that same person would need to be shown to have “maliciously” injured that same animal. What’s the distinction between intentional and malicious actions? In the statute, intentional is defined as committing an act knowingly and “without a justifiable excuse.” Malicious refers to acts that were committed intentionally and also with malice or bad intention. Proving this malice is up to the prosecutor in charge of the case and there would need to be solid evidence to justify the more serious felony charges. To illustrate the huge difference in severity between the charges it’s useful to compare possible jail times. For a Class 1 misdemeanor, a defendant could be sentenced to between 1 and 120 days of jail time or community punishment, depending on the judge’s decision. However, Class H felony charges in North Carolina can result in between four and 25 months behind bars, a far stiffer penalty. Arnold & Smith, PLLC is a Charlotte based criminal defense, traffic violation defense and civil litigation law firm servicing Charlotte and the surrounding area. If you or someone you know need legal assistance, please contact Arnold & Smith, PLLC today at (704) 370-2828 or find additional resources here. Brad Smith is a Managing Member with Arnold & Smith, PLLC where he focuses on the areas of criminal defense, DUI / DWI defense and traffic defense. Mr. Smith began his legal career in Charlotte, North Carolina as an Assistant District Attorney. In 2006, he entered private practice focusing almost entirely on criminal defense. Born and raised in Charlotte, Mr. Smith is married with his two sons’ and one daughter. In his free time, he enjoys traveling, boating, golf and hiking near his mountain home in western North Carolina. 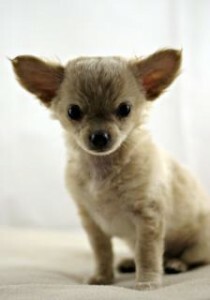 “Lincoln County man accused of choking Chihuahua,” by The Associated Press, published at WCNC.com.